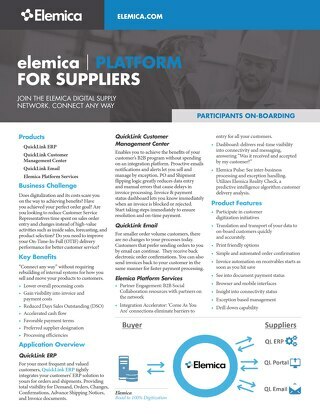 Elemica’s Delivery Schedule Solution removes the disparity between traditional order-to-cash customers and customers who send schedule line orders. 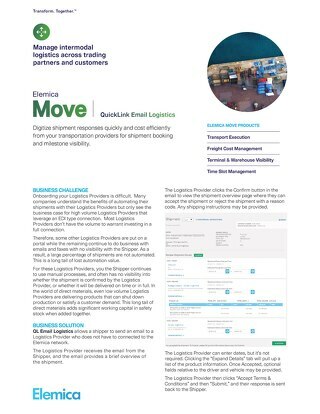 Our Delivery Schedule solution allows Customer Service Representatives to manage customer re-supply versus struggling with less-than-user-friendly document formats. 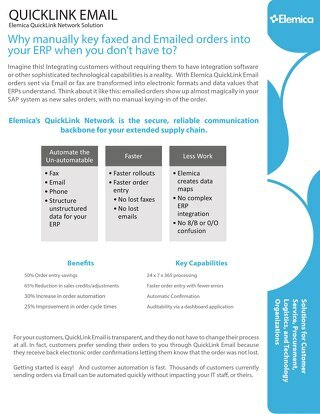 It compares and contrasts sequential demand schedules and posts as orders and changes to your ERP based on your business rules. 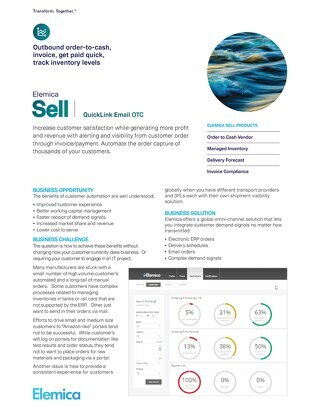 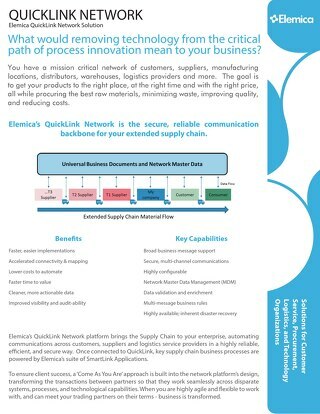 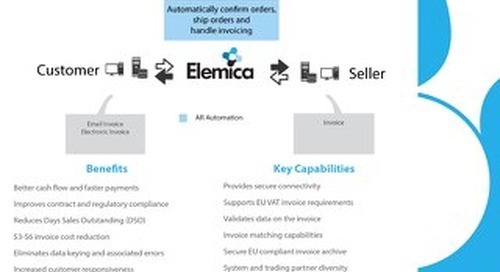 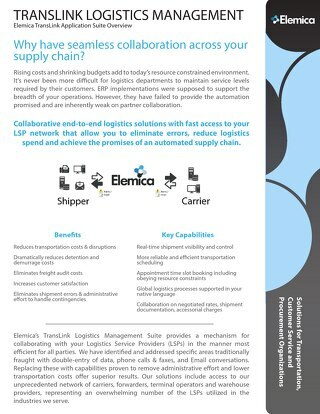 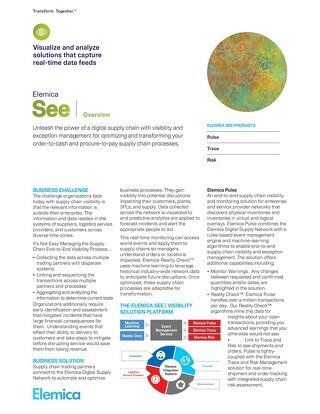 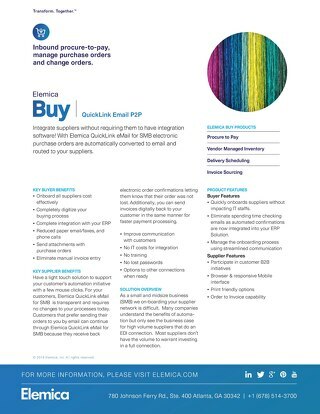 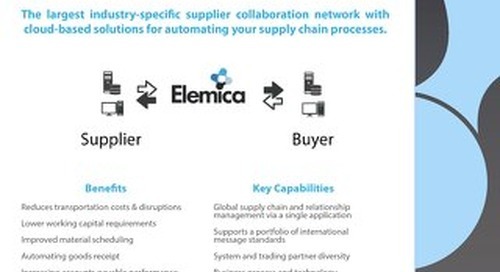 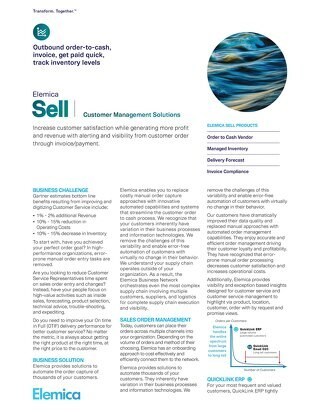 Elemica provides solutions to automate thousands of your customers. 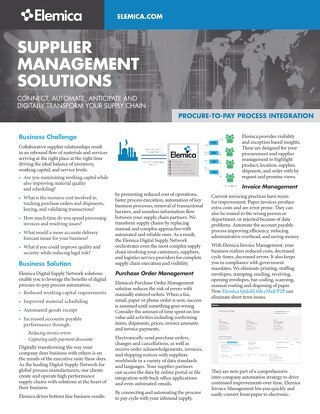 They inherently have variation in their business processes and information technologies. 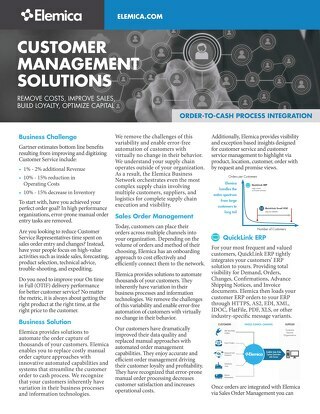 We remove the challenges of this variability and enable error-free automation of customers with virtually no change in their behavior. 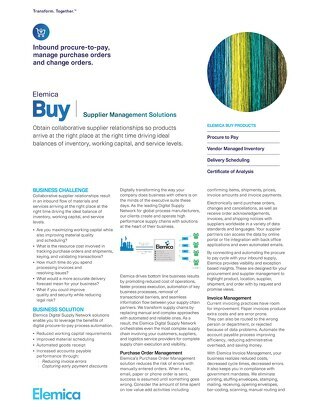 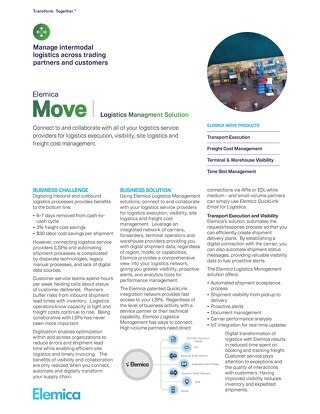 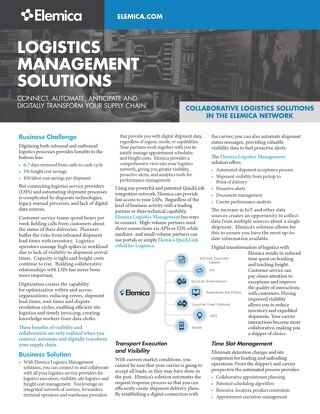 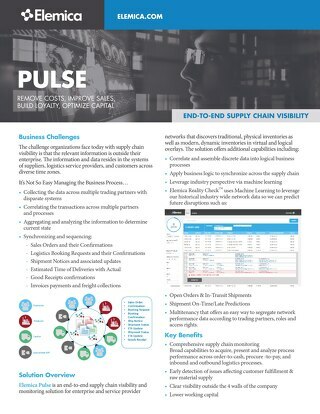 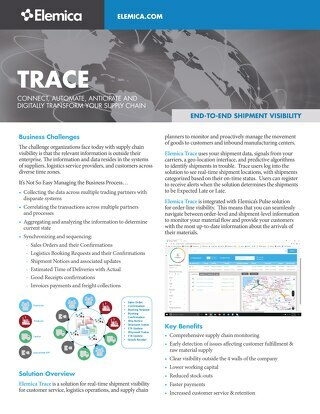 This platform supports standard order management through complex supply chain orchestrations involving multiple service providers.